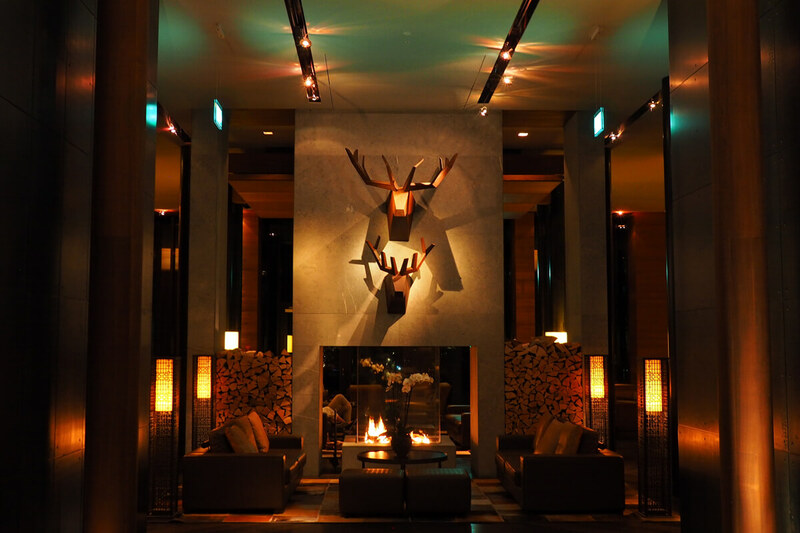 Few hotels in Switzerland boast a reputation as stellar as The Chedi Andermatt. We have just arrived in Andermatt, a remote town in the even more remote Urseren Valley. It is a rather vast valley floor at the junction of no less than eight major alpine passes. For one, there is the cobblestone street across the mighty Gotthard - a favorite for those with vintage cars. 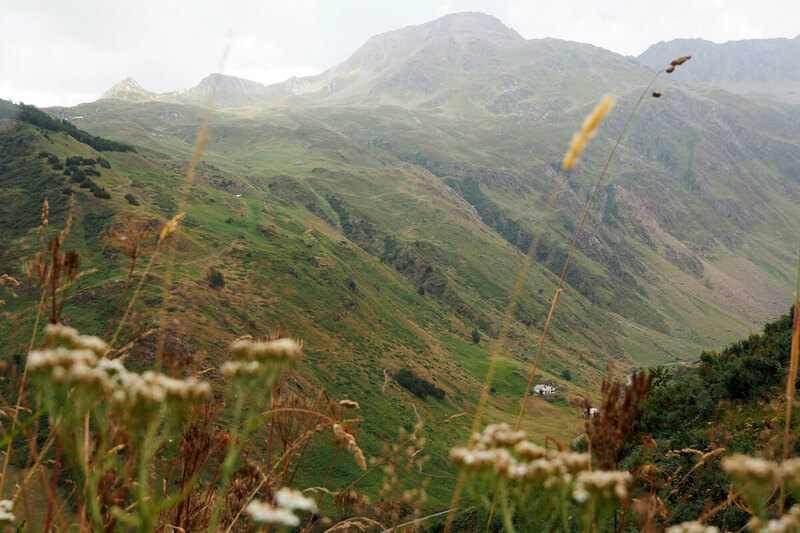 The Furka Pass was featured in a James Bond movie, and the gentle Oberalp Pass offers incredible views of the Alps. 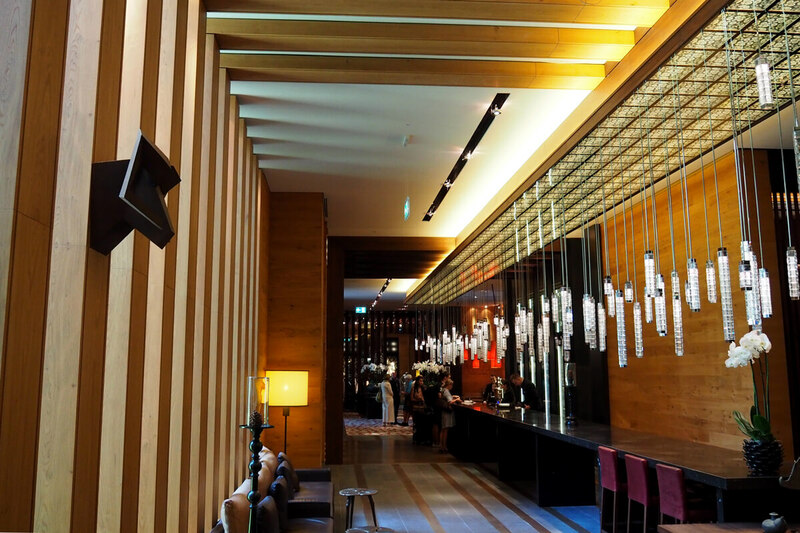 The Chedi Andermatt first opened its doors in 2013. 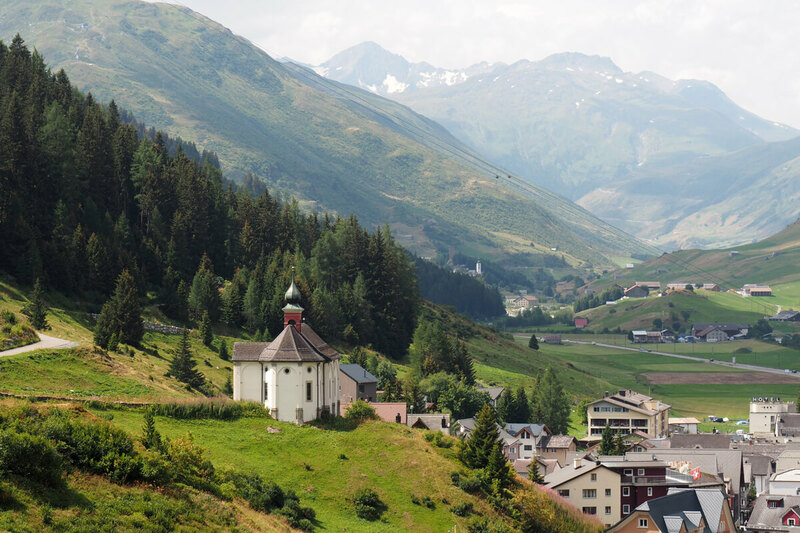 Up until then, it is fair to say that Andermatt was a sleepy town best known for its military base. 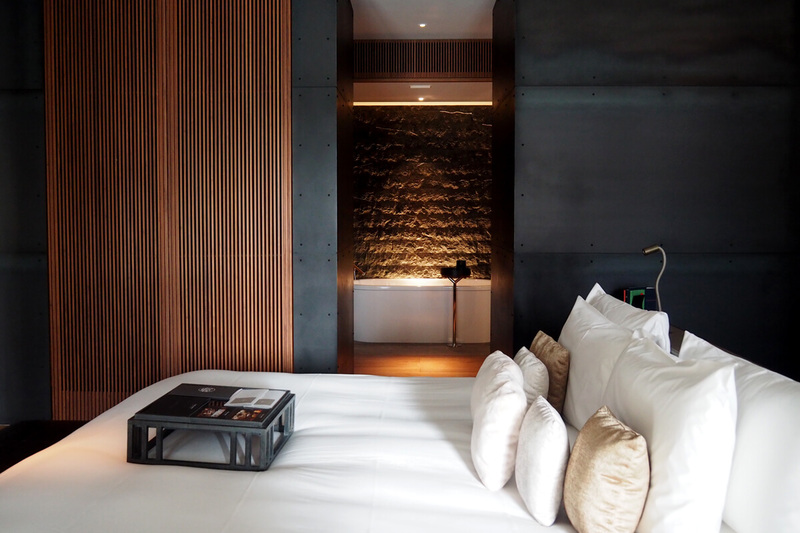 With the opening of this prestigious hotel, the reputation of Andermatt went into overdrive. But yet, as I walk down main street, I am happy to see that the town remains authentic. There is still a respected local butcher and other small businesses, as well as a kiosk advertising public Internet access (!). But first things first: please enter our Deluxe Suite! The hotel's website describes our room's theme best: Alpine chic meets Asian elegance. 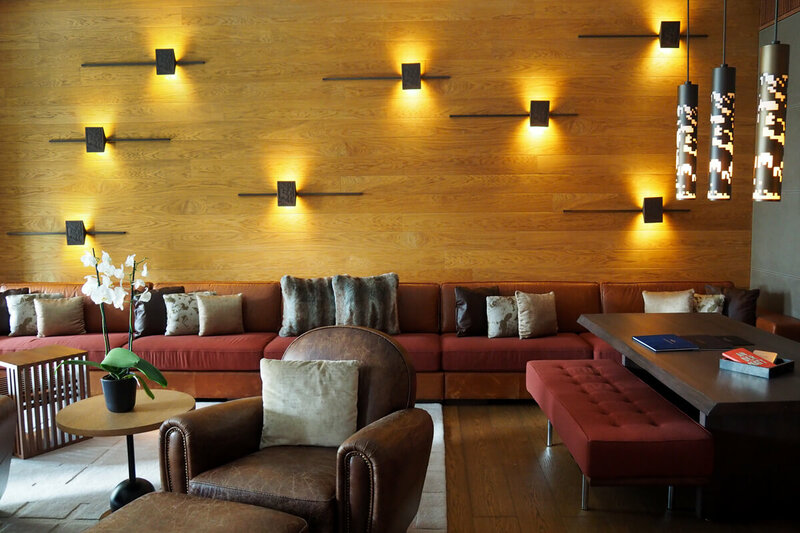 For one, we immediately notice the clever use of various types of wood. Be it the walls, the floorboards or the entrance to the bath, we instantly "click" with our suite because it has such a warm vibe to it. The Asian influence is noticeable in small details such as the panel next to the bath entrance, the live orchids or the lamp shades that create a beautiful play of shadows. The renowned architect, Jean-Michel Gathy, likes to create "large and dramatic spaces," as he has shared with Elite Traveler. Our suite - and really the entire hotel from the lobby to the hallways and the spa, truly has Gathy's fingerprints all over it. 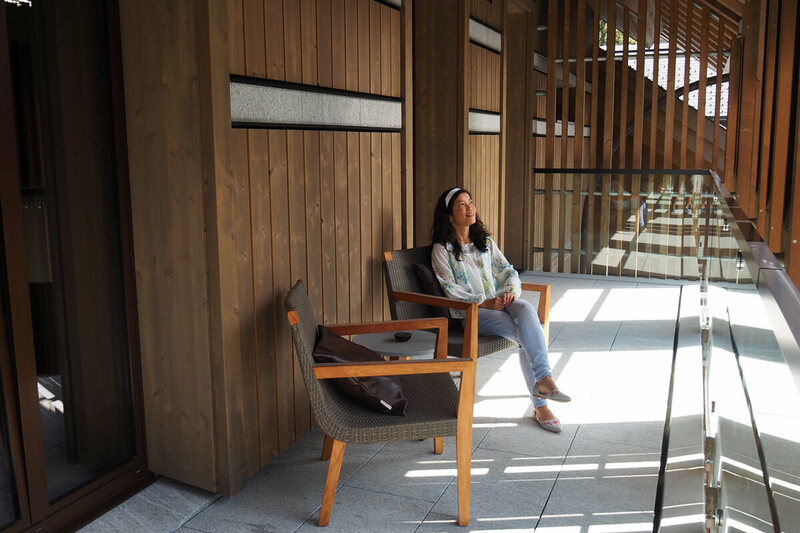 Two days are not enough to explore all the libraries, seating areas, play tables and fireplaces scattered among the lobby. 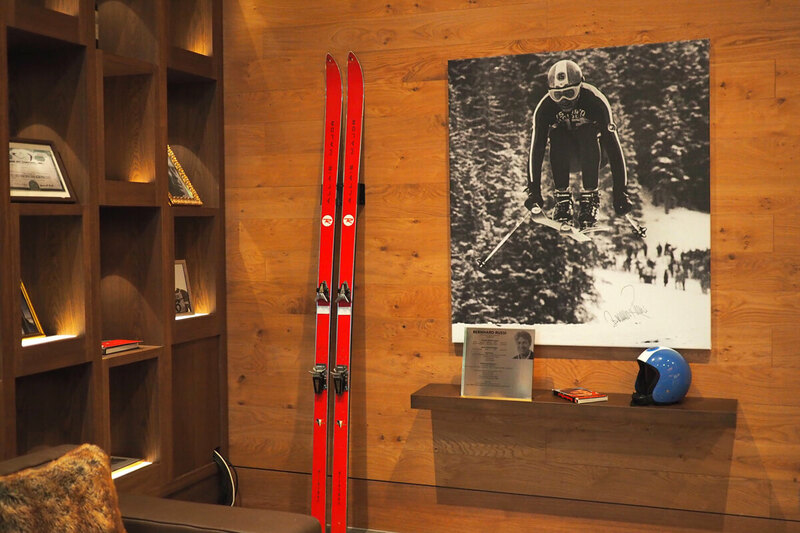 We do manage to peek into the ski room, however, which showcases memorabilia of Swiss ski legends. 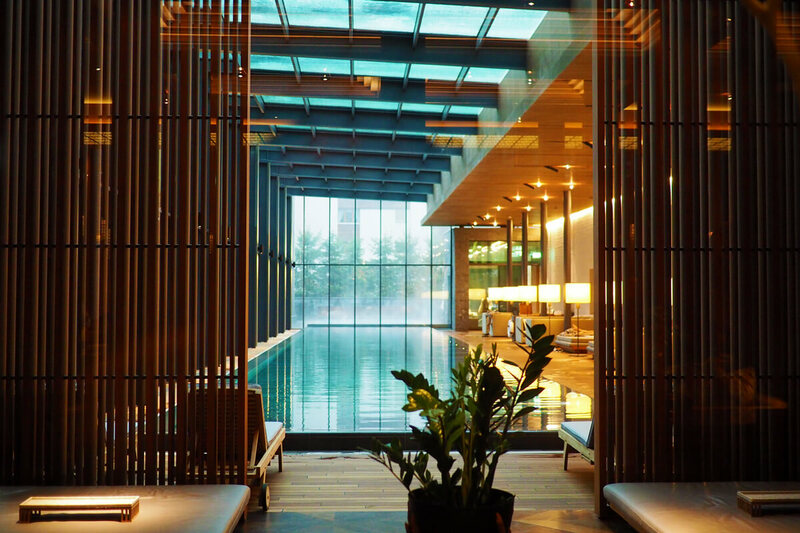 From the sprawling lobby, the 35 meter indoor pool has caught our attention from the moment we check in. It is in competition with a heated outdoor pool large enough to swim in circles. But in the end, we spend most of the time in the spa with its Japanese onsen pools. From left to right, each pool gets successively hotter - arriving at more than 40 degrees Celsius! Treats for the palates at The Restaurant. 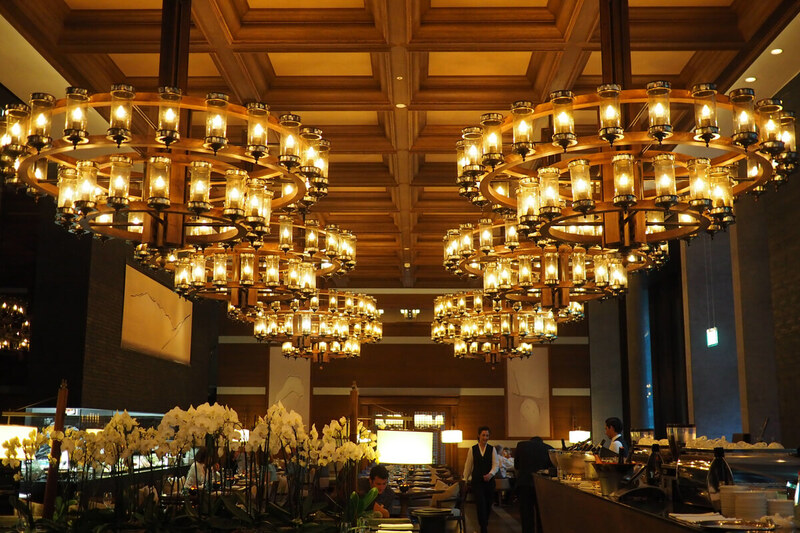 The Chedi went all out when it comes to its dining venues. We have a dinner reservation at The Restaurant, one of the four eateries on site. Right at the entrance, we are greeted by a massive tower of cheese. 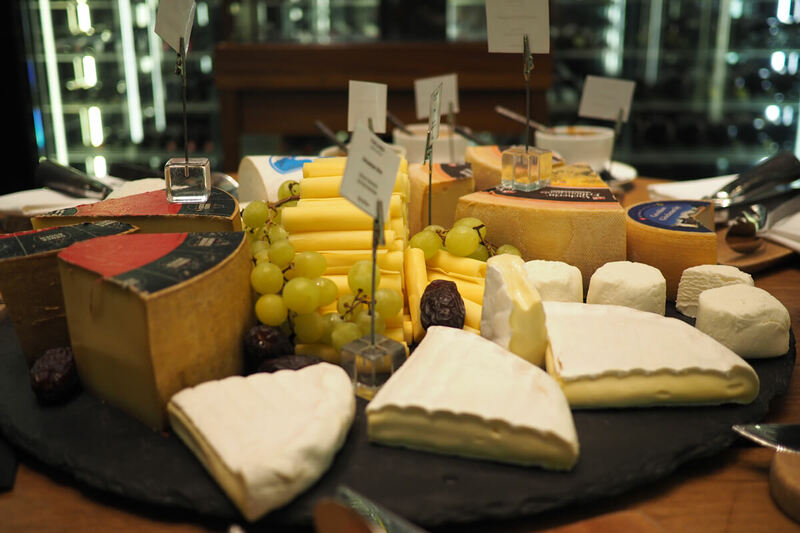 Inside a climate controlled glass tower, cheese varieties from all over the world are stacked on shelves some five meters tall. The restaurant layout is quite unique as well: instead of one combined kitchen out of sight for diners, we count a total of four transparent show kitchens. There is a cold kitchen, a hot kitchen, an Asian "wok" kitchen and a pastry kitchen. Two words: dim sum. Take a stab at the many kinds of Chinese dumplings, such as steamed heaps of dough filled with shrimp or bamboo sprouts. Unspoiled nature just footsteps from the hotel lobby. The following day after a lush breakfast, we feel adventurous. 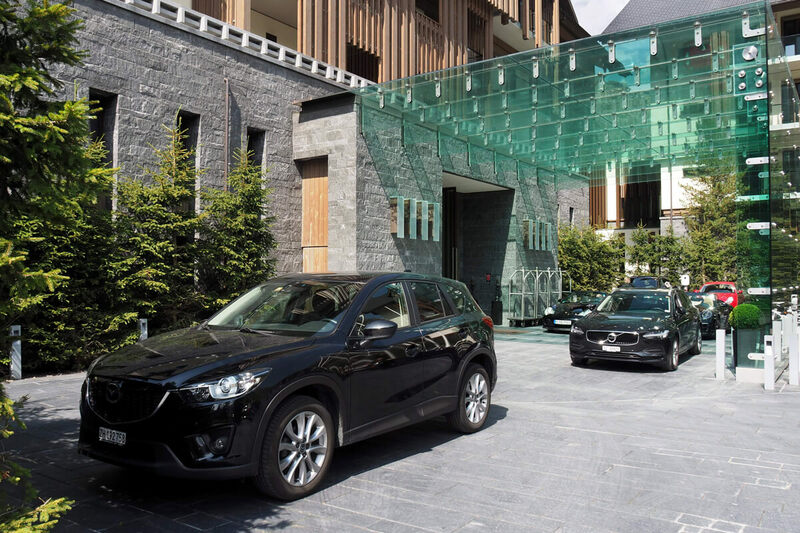 The Chedi offers a variety of activities, including guided nature hikes, tours on e-bikes or even an alpine cheese making experience. The nature hike catches our attention as it is about getting to know edible plants. 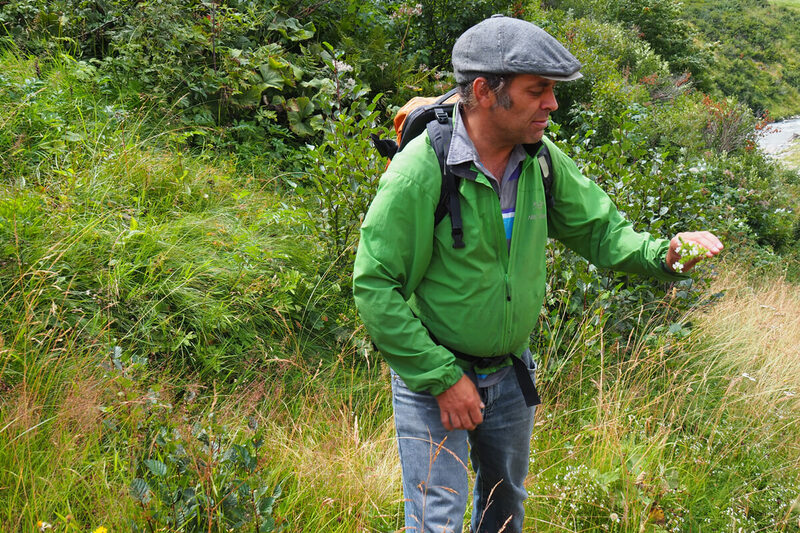 Our guide, Benz Simmen, is a local who knows Andermatt's fauna and flora like no other. Over the course of the next few hours, we will venture into the remote valley of the Unteralpreuss river. And among blooming meadows and gushing waters, we will hop from one green patch to another. Benz is always a step ahead. By the time we catch up with him, he passes a green leaf, a handful of seeds or blueberries. Surprisingly, everything we sample off the alpine grounds is tasty! There are hints of wasabi, cumin or garden cress. Blended and mixed with olive oil, these greens make for a delicious pesto! Our guide Benz explains all the health benefits of these plants and we make a pinky promise to return for more someday. 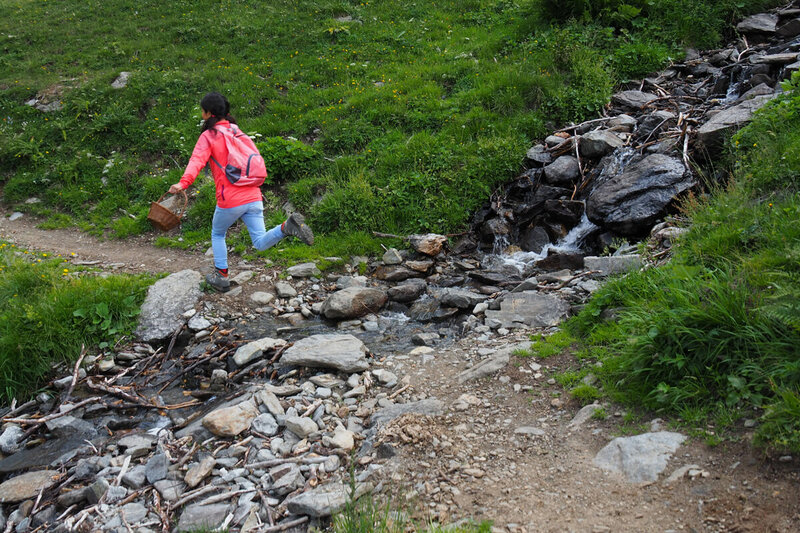 With all these things to enjoy, explore and experience, it feels like we have the world at our feet here in Andermatt!